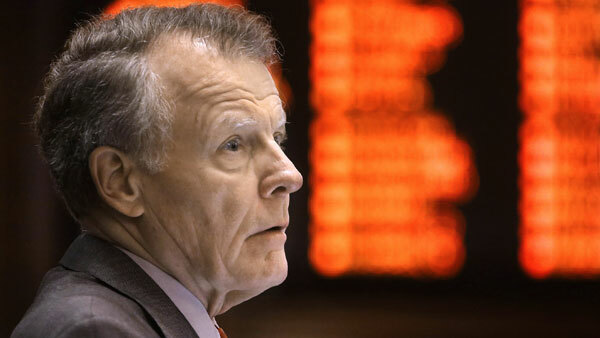 SPRINGFIELD, Ill. (WLS) -- Illinois House Speaker Michael Madigan scheduled a vote on a right-to-work law next Thursday, which Democrats in Springfield say would force the governor's hand on the issue. Republican Gov. Bruce Rauner has said a right-to-work law would allow communities to decide if they want the rules in place. If approved, the law could prevent unions from collecting fees from non-members. Illinois Democrats say the proposal hurts middle-class families. Madigan, a Chicago Democrat, says the vote will force the governor's office to file a bill which would spell out Rauner's proposal more clearly. "The administration continues to negotiate in good faith over the governor's turnaround agenda and will remain at the table as long as it takes," said Lance Trover, a Rauner spokesman. "If House Democrats want to walk away from the negotiating table and vote on a proposal before there is bipartisan agreement that the material is ready to be introduced in committee, then they should start with a constitutional amendment to impose term limits on legislators."